Vu at UNAVSA-11 held in Dallas, Texas. How did you get involved with UNAVSA? Tell us about a favorite memory working with UNAVSA. What influenced you in running for UNAVSA Executive Board? 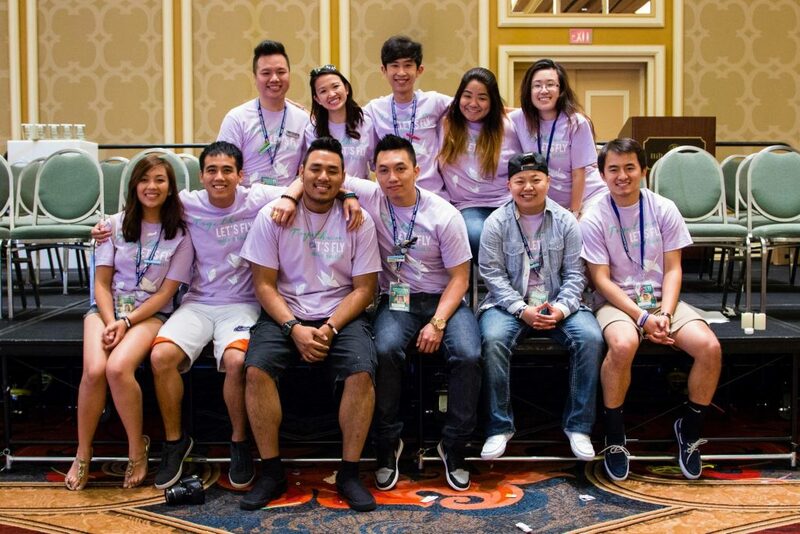 Vu and former UNAVSA Executive Board 2012-2014 posing for a photo at UNAVSA-14 held in New Orleans, LA in 2017. Running for the secretary position played a large part in my own self-discovery. Lan Anh “Anhnie” Nguyen reached to me personally shortly after announcing her presidential candidacy to think about joining the Executive Board. I naturally had many moments of doubt and reservation; one of the biggest factors was having just graduated and was actively seeking to jumpstart my career. I focused heavily on my faults and shortcomings to come up with reasons why I shouldn’t apply, but Anhnie was very persistent in reminding me of my strengths. I was fortunate to be taken under her as well as Thoa Kim Nguyen’s wings during my campaign to help me start becoming more confident in what I can do for this community versus being afraid of what I cannot. What did you hope to change and improve within the organization? When I applied for the Secretary position, I’ve heard many times that the position didn’t require much effort to fulfill. Wanting my role and its responsibilities to include more than just recording and organizing meeting minutes and agendas, I used my experiences and education in marketing/PR and shaped my platform around strengthening the brand of UNAVSA. Even after my term on the Executive Board, I continued to work with leaders with incredible talents to help shape the branding and marketing efforts of the organization to become more streamlined and standardized. In addition, I also made it a habit to sit in on as many committee meetings as my schedule could handle so that I would always be in the know of everything that UNAVSA has going on. Were you successful in achieving your goals as Secretary? What would you have done differently? Overall, I believe I successfully achieved many of my goals as Secretary. 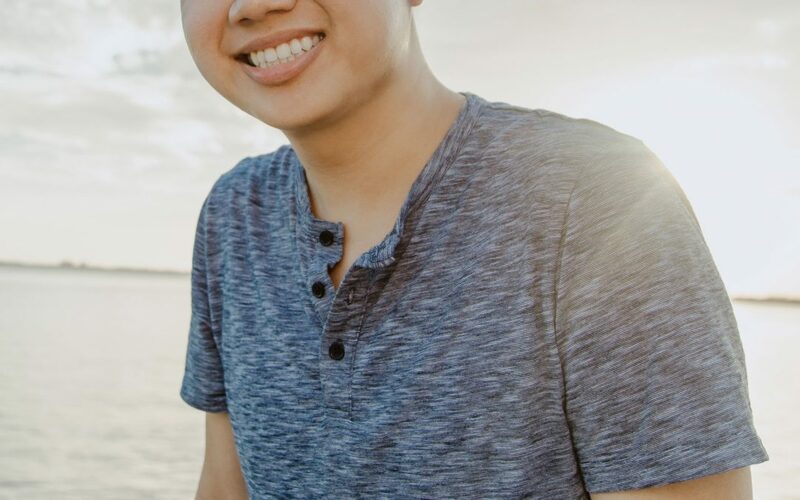 If I had the opportunity to do something different during my time on the Executive Board, it would be to connect more with the UNAVSA community through initiatives like the VSA Directory (which Timmy Vo did after my term~). 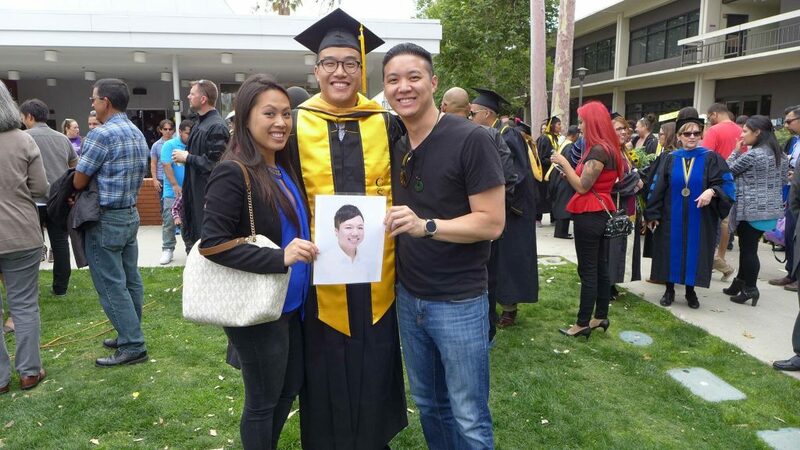 Anhnie Nguyen (left) and Dat Nguyen (far right) attending Nghia Le’s (middle) graduate school ceremony. Vu’s headshot was included. What was the toughest part of being on the Executive Board? How did you manage those rough times? The most difficult times during my term would be not practicing self-care in moments of burning out or experiencing stress. There were many times where I would put unnecessary pressure on myself for being on top of everything that happens under UNAVSA’s roof that I couldn’t see that it was causing me to become disorganized and uncommunicative with my team. It took me close to a year to break out of my habits of working alone and trust my team completely with not only my workload, but also my personal life and well-being. Once I started opening up and allowed my team to help with the downs, the ups quickly came afterward. What do you do for a living now? How has UNAVSA helped you become the person you are today? I am a creative director for a small digital marketing and creative design agency. UNAVSA has definitely helped me climb the ladder to a leadership role as well as many other roles involving project management and public relations. What are your hopes for the future of UNAVSA? How would you continue to support UNAVSA and your own community? I would hope UNAVSA become more solidified as a non-profit organization with more sustainable programs and staff retention. I would be happy to offer any web/marketing services where my capacity allows. Do you have any last words such as shoutouts or advice for potential UNAVSA Alumni? Definitely dip your feet into other areas of UNAVSA (e.g., CPP, cabinet, conference, CORR). As long as I’ve been with UNAVSA, you never really get the bigger picture until you experience everything UNAVSA has to offer. 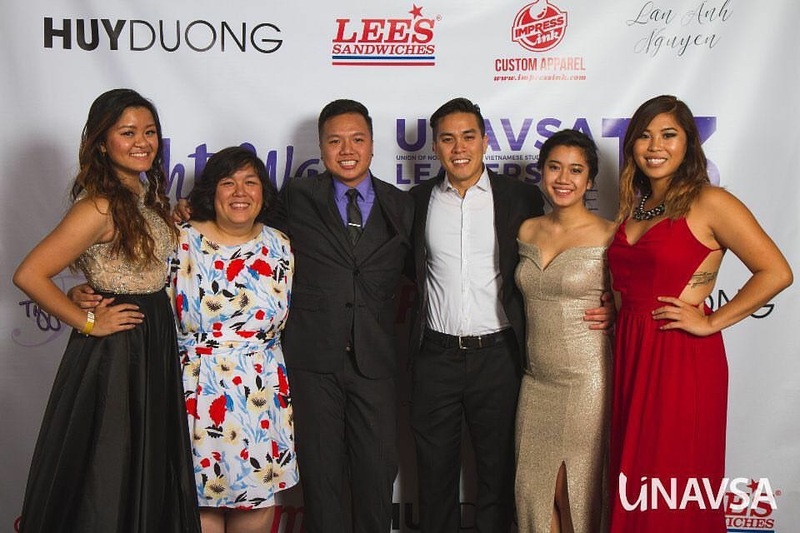 Vu posing with his MPR Co-Director, Thy Bui, and some of their MPR Committee at UNAVSA-13 held in Boston, MA in 2016. Thank you, Vu, for being a UNAVSA Advocate Alum! 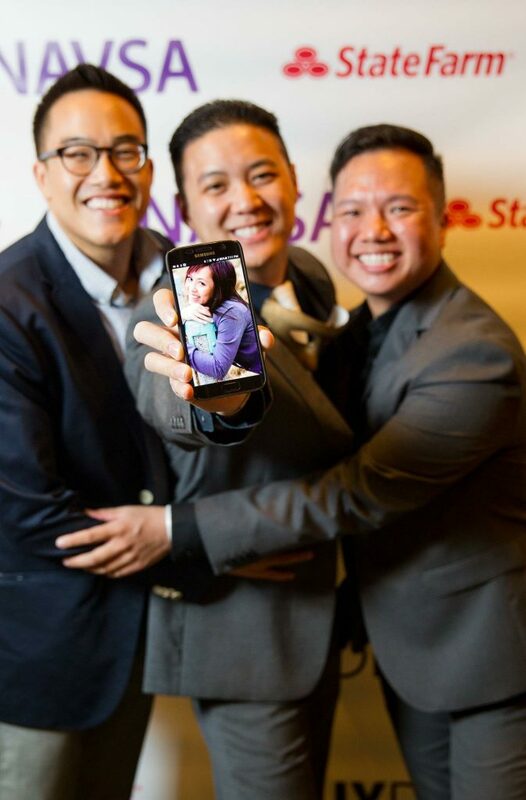 UNAVSA is dedicated to empowering the next generation of Vietnamese leaders with a passion for service, propensity for leadership, and self-awareness with the intent of advocating for progress in the North American Vietnamese community.